Come and join Dr. Semmelink every Tuesday on Radio Namakwaland at 12h30! Listen in on streaming audio by clicking here or tune in on 93.4 Mhz. Training Providing training in all above-mentioned aspects, including training to develop young people in leadership, counselling, inter-personal relationships, cross-cultural relationships and life skills. "To make a difference to society, by developing and nurturing youths, and to ensure their spiritual, social, mental and physical health through preventative and supportive actions, as well as the management of their crises." "It is our vision to help create a healthy lifestyle for young people"
White noise is any gentle, steady, monotonous, peaceful sound like a fan humming or other background sounds that are calming and not stimulating. What are the benefits of white noise for those with ADD / ADHD? Research in Sweden has found that the presence of white noise appears to help distractible ADHD children concentrate and pay better attention while learning. A control group of children without ADHD performed better in silence without the extra background noise. Research in Sweden has found that the presence of white noise appears to help distractible ADHD children concentrate and pay better attention while learning. A control group of children without ADHD performed better in silence without the extra background noise. The report published in the October 2008 Psychological Review . Life with a child with ADD/ADHD can be frustrating and overwhelming, but as a parent there is actually a lot you can do. The symptoms of ADD/ADHD can be controlled and reduced. You have the power to help your child meet his or her daily challenges and channel his or her energy into positive arenas�and at the same time bring greater calm and order to your family home. Children with ADD/ADHD can and do succeed. 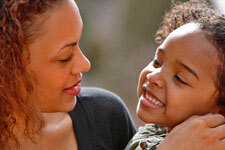 The earlier and more consistently you address your child�s problems, the more likely their success. When children are compared to each other! How do you handle stress during exam time? Create a pleasant atmosphere of understading and support. What is our responsibility when we know a child is being molested? What am I to do if I am molested? In South Africa, 1 out of every 3 children are molested. 70% of these children are molested by somebody they know, be it their father, mother, grand-father, grand-mother, teacher or even pastor! Majors & Minors CD Now Available!